You are here: Home / Dog Behavior Problems / Is Your Dog Eating Poop? Is Your Dog Eating Poop? 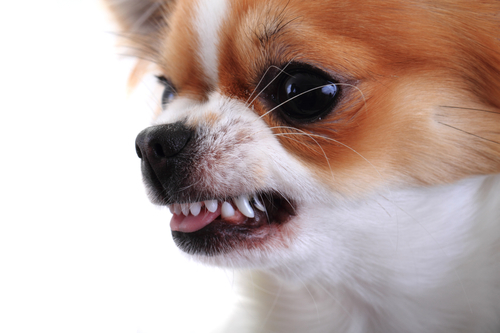 Coprophagia or the disgusting habit of a dog eating poop, often starts when a dog is young. 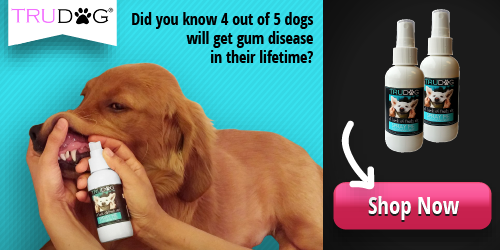 While we really do not know why a dog eats poop, there are ways to stop the habit! Dogs with coprophagia eat their own feces, feces from wild animals, other dogs or cats and even human feces if they have access to it. As hard to believe as it is, this is not uncommon. Most people do not discuss their dog’s coprophagia with others. If you remove the temptation right away, your dog may soon forget about eating poop. So you may not have had the subject of someone’s dog eating poop come up in your conversation at work or when getting together with friends. But if your cute little Bichon Frise puppy comes up to you to give you a stinky kiss with putrid breath, you’ll address the issue! Potty Training – If your puppy is sensitive and you have been stern during potty training, he may be cleaning up and hiding the evidence. Nutritional Needs – This theory says that your dog is lacking vitamins, minerals or protein in her diet. Eating poop is a way to make up for the deficit. Copying Mom – As youngsters, puppies see their mothers clean up after the pups. Some trainers believe that a dog who eats poop is simply copying what he saw when he was still with Mom. Boredom – Some theorize that the poop eating is just a sign of boredom. With nothing else to do, why not? Taste is Great – I find this one really hard to stomach, but one theory is that the dog likes the taste of his or someone else’s poop. This is one habit that you just can’t tolerate. It has to stop, or your whole family will be miserable and turned off by being near your dog. Supplement for Coprophagia – There are some products designed to discourage your dog from eating his poop. Most don’t have a very good track record. CoPrevent Coprophagia Stool Eating Deterrent seems to have a moderate level of success. Work on the “Drop It” or “Leave It” Command – Practice this command over and over with your dog. When she does it right, give her a really special treat. Ask your Vet about a Change in Diet – This may be helpful but does not always address the issue at hand. Pineapple or Zucchini – I have read in several sources that adding pineapple to your dog’s food will make his feces unappealing. However, even if it does work, it won’t do anything for the poop of other animals. Clean Your Yard – Using a pooper scooper will make the job easy. Clean up after your dog right away to remove the temptation. So you need to set yourself up to win. Alter your dog’s environment so that it is harder to find poop to eat. If your dog uses your yard as his bathroom, clean up poop as quickly as you can. Make sure you take disposable poop bags along with you. When you take your dog for a walk, clean up after her before she has a chance to eat her excrement. Keep your dog on a short leash and steer your dog away from the feces of other dogs and animals. If you know that there is a lot of feces from other animals on a certain route, alter your route and take her a different way. Keep your dog away from temptation. Lastly, if you have a cat, place your kitty litter box in a location that your dog can’t access it. When you take away the temptation, you may find that it only takes a week or two and your dog will have new habits. Those that don’t include poop eating! If you sign up for my newsletter, in addition to giving you updates about my website, I may notify you occasionally about special deals and bargains that I think you’ll love. You can be confident that I will never share your information with a third party. If your circumstances change, I understand. You can always unsubscribe and your information will be deleted. How can you tell if your puppy has distemper? Is Dog Neutering Right for Your Dog? Why is Your Puppy Vomiting? 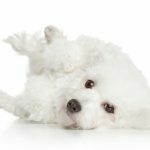 Does your Bichon have pancreatitis? Could Your Dog Have Dementia? Dog Flu Symptoms - Should You Worry? Your Bichon Dog Ate Chocolate - What Should You Do? Does your Bichon have a canine urinary tract infection? 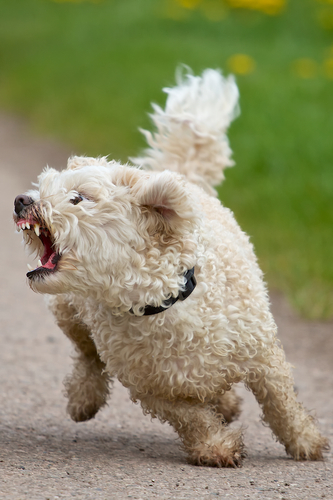 Is Your Bichon Suffering from Canine Constipation? HeartGard Plus is undeniably the most popular medication specifically meant for prevention of heartworms in dogs. It is very important that you do all you can to ensure that your dog is free of heartworm, shop now! There may be links in the post above that are “affiliate links.” This means if you click on the link and purchase the item, I may receive an affiliate commission, which does not affect the price you pay for the product. Regardless, I only recommend products or services that I use personally or believe to be the best value for my readers.